Earlier this summer Subway CIO Carman Wenkoff added chief digital officer (CDO) to his title and took the helm of a new division governing core capabilities such as the sandwich chain's website, mobile application and payment systems, and its loyalty program. Directing both back-office IT and customer-facing technologies should help Wenkoff gain insights as he looks to incorporate the kind of digital capabilities consumers are using to interact with competitors like Panera Bread and other quick-service eateries. Subway CIO and CDO Carman Wenkoff. Subway won't be mistaken for Starbucks, whose mobile application and loyalty program set the gold standard, but it is hardly in the digital dark ages. Subway’s mobile app enables you to order and pay for food but the company doesn't tout its technological tricks, preferring to lean on the company's long-standing brand and catchy marketing, from "sandwich artists" to "eat fresh." Expect big changes on that front. Wenkoff, who spoke to CIO.com at a conference earlier this month, is hiring 150 people to fill technology, marketing and operations roles for the digital division. Wenkoff says unifying the positions under one unit will help avoid instances such as when the marketing team launched projects without IT's help -- or vice versa. Wenkoff says serving as CDO governing the digital division will help bring coherence to the business strategy. "It requires so much platform coordination between the two groups ... to have someone who can arbitrate and prioritize what is best for the company is what we thought would be best for Subway," Wenkoff says. The challenge is considerable: boosting loyalty among a fickle customer base, which will result in more customers and a higher guest check average. To do this, Wenkoff says Subway must reduce friction of ordering and picking up food. Slated for a first quarter launch next year, the new mobile app will include a new user interface with personalization at the core. For example, the software will learn your preferences over repeated visits, such as the fact that you don’t care for a certain ingredient, and automatically remove it from the menu. Subway is also considering how to gamify the art of sandwich-making, allowing customers to "build" their own sandwiches and share the concepts with friends via social media. A new loyalty program is also in the works, which Wenkoff says will build upon what’s in the market today. 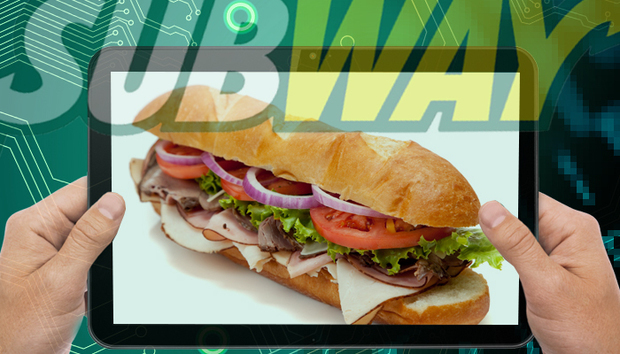 Subway is also planning to inject more digital capabilities into its stores, which could include digital menu boards, kiosks and beacon technologies that, for instance, can prompt sandwich artists to finish an order when they receive a Bluetooth ping that a customer is nearby them. The key, Wenkoff says, is easing employees into the new technologies so that they don't add friction. "Operationally, we need to make sure people are seeing and hearing the orders," Wenkoff says. Adding CDO capabilities to the CIO duties makes sense, assuming he or she can handle the crushing workload, according to Khalid Kark, director of research for Deloitte’s CIO Program. He says CIOs are best equipped to see the whole "digital iceberg," enabling them to holistically see gaps in technology and business processes. However, Kark says data collected from 1,217 CIOs surveyed from May through September, suggests CIOs are painfully aware of their department’s shortcomings. Although 47 percent of CIOs agreed that disruptive and innovative IT capabilities are essential to their success, 52 percent said these capabilities do not exist or are currently being built. And 28 percent of respondents said there digital capabilities are below average. But it’s vital for the CIO to sway the C-suite and convince them that they can transform the business. "At the end of the day you are at the center of this change, you have to step up or step aside for other business leaders who are going to come up and take this opportunity," Kark says. Wenkoff has stepped up; it was he who told CEO that the company’s future success hinged on setting up a digital division and that he should lead it. Now Wenkoff is culling siloed and legacy systems for such tasks as customer engagement systems and business reporting. To help in this task, Wenkoff is implementing technology business management (TBM), practice and tool set could help shine a light on the cost of running Subway’s IT systems. Enterprises such as FedEx, Aon, and Microsoft are also using TBM to reduce technical debt and optimize the value of existing solutions. “It’s about understanding where we’re spending our money and taking another look at it and asking ‘Is this the best way right now?” Wenkoff says.